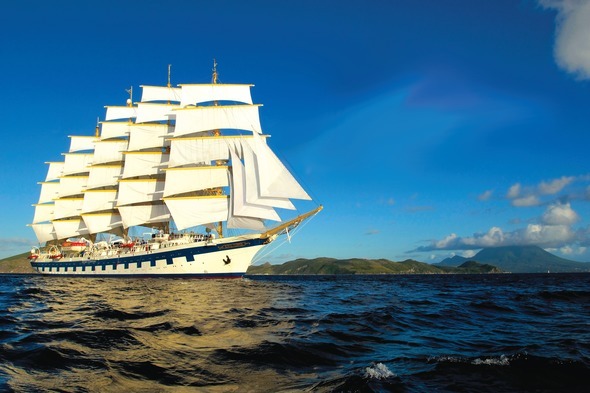 Sailing adventure meets luxury cruise – this is something else entirely, a unique experience for those who love the sea, and are intrigued by the centuries old pursuit of travelling under sail. 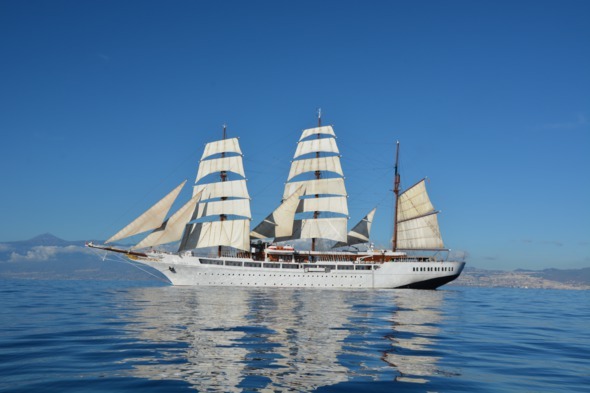 Authentic and traditional, a Sea Cloud cruise on one of their majestic tall ships is quite different from any other cruise experience, showcasing as it does the fascinating spectacle of hoisting all the sails by hand – a process that can take a full hour to complete. Sea Cloud was commissioned in 1929 by American millionaire couple Edward F. Hutton and Marjorie Merriweather Post. 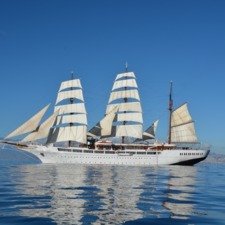 The legendary Sea Cloud was born, and a mere 70 years later Sea Cloud Cruises went on to build its sister ship, the Sea Cloud II. 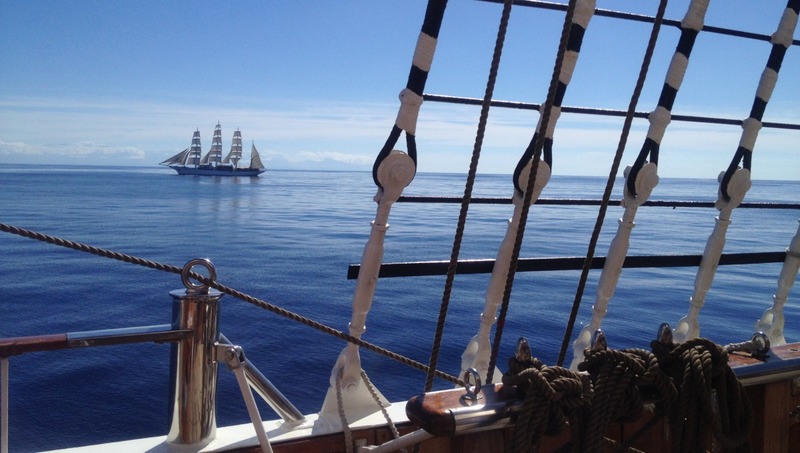 Both vessels are elegant windjammers, and on board, sailing is not just for show - every single manoeuvre marks a centuries-old ritual being brought to life. 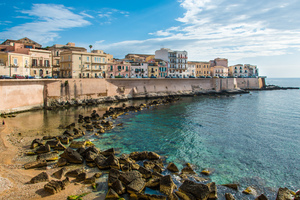 The cruise line is German-owned and a bi-lingual crew of around 60 look after a maximum of 94 travellers from around the world, (albeit most are from Germany). You might say that guests on board are enjoying the same standards and experience as Marjorie Merriweather Post's personal guests! Attentive service and a laid-back ambience make for the perfect trip conducted at your own pace. The romance and relaxation of travelling under sail, not just the sights but the sounds, cannot be matched by any other travel experience. The classic décor evokes the past, with comfortable deckchairs on the vast, elegant teakwood decks, fine wood features and polished brass alongside accommodation which is totally up to date. 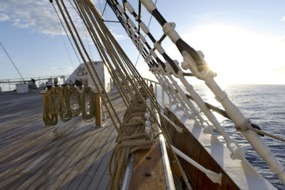 You will also be captivated by the crew, for whom life on board a Sea Cloud ship is more than just a job: their passion and commitment shines through as they strive to involve you in their magical world. First class cuisine with wines included in the fare make open seating dining a special pleasure. 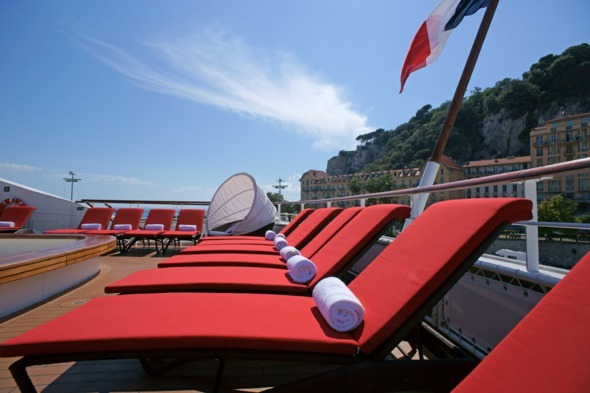 Both ships summer in Europe and travel to the Caribbean, Panama and South America for the winter season.